More than ever, it is clear that faith plays an important part in some of the lives of young people in our country and a role that inspires social justice and common action for the good of communities. Faith Matters has set up a Youth Champion’s Interfaith Panel which helps us to develop our projects and that will participate in very exciting projects at national and international levels. Click image to see full advertisement. 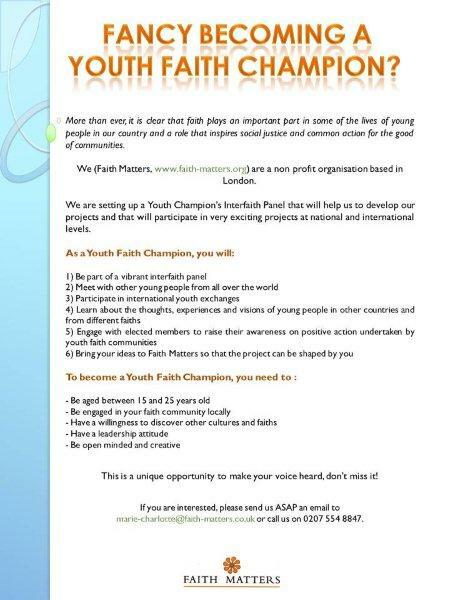 Who are Youth Faith Champions?